Home ownership has long been considered the American Dream, so how does the new tax plan affect that dream, and the real estate industry in general? Let’s look at two key changes to deductions that have traditionally been used to make home ownership more affordable — the Mortgage Interest Deduction and State and Local Tax Deductions. We’ll examine what they mean for homeowners, future homebuyers, and real estate professionals. We’ll also discuss a third deduction that protects real estate professionals ability to deduct a portion of their business income. Cap drops from $1 million to $750,000 The new tax plan reduces the limit on deductible mortgage debt to $750,000 for new loans taken out after 12/14/17. Current loans from $750,000 to $1 million are not subject to the new cap. Interest on home equity loans will no longer be deductible. This affects interest on all home equity loans used for purposes other than home improvement, even if the loan was taken out before December 15, 2017. Since most people’s home values do not exceed $750,000, this change mostly affects wealthier housing markets, such as California and New York. Arguably, this change disincentives highend home ownership, particularly around the $1-2 million price point. Moreover, people already in million dollar homes will be less likely to move, and those thinking about upgrading to homes in that low million range are more likely to stay put. Both these factors will likely strain the already low inventory of less expensive homes. Capped at $10,000 Taxpayers used to be able to deduct state and local property, income, and sales taxes from their federal returns, with no limit. The new law caps these deductions—which can be any combination of property, income, and sales taxes—at $10,000. As with the reduced cap on mortgage interest deduction, the impact of this will be felt regionally more than nationally. Homeowners in areas with high property taxes or states with high income taxes will pay more because of this change. Arguably, paying more in taxes means less money to spend, ultimately driving down home values in these areas. In addition to caps on these two deductions, an increase in the Standard Deduction – to $12,000 for single individuals and $24,000 for joint returns, and the elimination of the personal exemption, could also have an impact on the industry. The higher Standard Deduction means individuals may be less motivated to itemize their individual returns, simply opting for the higher Standard Deduction and less hassle. Under the old law, about 44 percent of U.S. homes were worth enough for it to make sense for a homeowner to itemize. Under the new law, that number drops to 14.4 percent. This drop could result in individuals transferring homes to partnerships, so they can take advantage of various tax incentives available to corporations that are no longer (or significantly reduced) for individuals. So how can real estate agents, in particular those in luxury markets, address concerns raised by the new bill? To start, advise clients to read and get familiar with the new laws, and to consult with a tax advisor about how it will impact them specifically. As mentioned above, homebuyers may want to consider forming an LLC (Limited Liability Company) or Sub-S Corp (Subchapter S Corporation) to purchase a new home, instead of doing so as an individual, if it makes sense for them. Is your client a person that owns other income producing property? Then an arrangement such as the above might be something to consider. What else can real estate agents do? Given that state tax rates vary widely and the remote work economy is exploding, more people than ever are moving to cities they maybe wouldn’t have considered ten years ago. Consider forming relationships in cities like Austin and Atlanta, places with burgeoning tech sectors and lower tax rates than San Francisco and Seattle. When your client says he’s considering an out-of-state move, you can refer him to a great broker in his new city, and then pick up the referral fee. Already a broker in a tax-desirable area? Blog about how amazing your community is and what makes it attractive in the current climate. 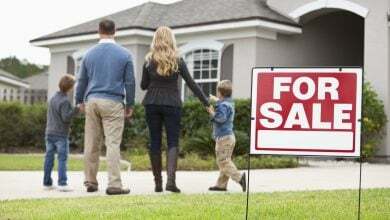 Consider how you can attract out-of-state buyers fleeing high price areas. Moving from the residential to the commercial real estate sector, overall the new tax code is positive for real estate investors, owners of multi-unit buildings, and commercial property owners. The new bill protects existing laws around Like-Kind Exchanges (1) and Carried Interest (2), both of which are favorable to investors. A new small business deduction offers good news for most real estate professionals. In an attempt to balance the reduction of the corporate tax rate (from 35% to 21%), the bill includes a new deduction for many small businesses – 20% of business income earned. ■ The total of 25% of the W-2 wages paid by the business plus 2.5% of the cost basis of the tangible depreciable property of the business at the end of the year.